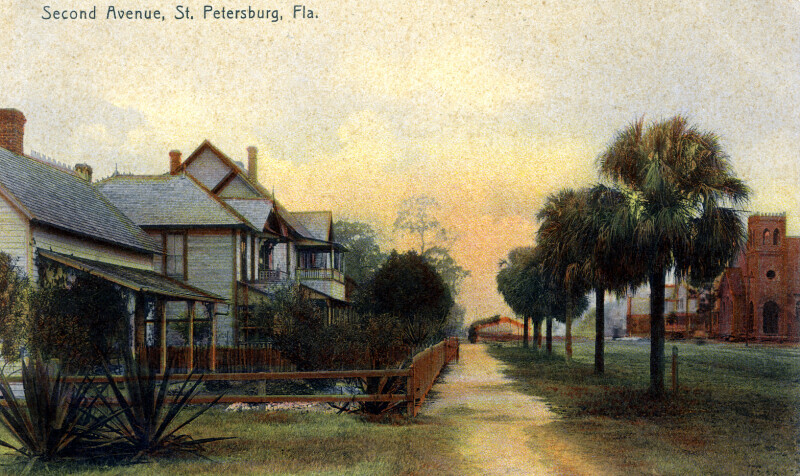 St. Petersburg's Second Avenue is narrow, and overgrown with grass. To the left of the road, there is a row of wooden frame houses in the Florida Vernacular style. To the right of the road, there is a line of sabal palm trees. On the far right of the card, there is a stone church, with a square bell tower. Although there are lancet arches at the top of the bell tower, the church appears Romanesque.